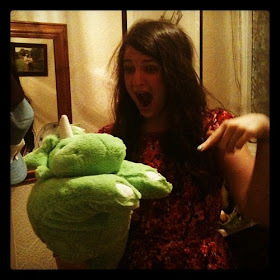 t*rexes and tiaras: So shut your eyes, kiss me goodbye.. Here's a little secret. Well, I don't suppose it's anything I've shared before. I'm a snorer. Always have been, and to be honest, I thought I always would be. Snoring is something I've been a little embarrassed about in the past. It's even won me the nickname "Snoreen". I've tried just about all of the "home remedies" I know of. And one of those nose clip things which made me struggle to breathe a little. So, when I was asked if I would like to try out something new as a preventative snoring measure, I was sort of interested. 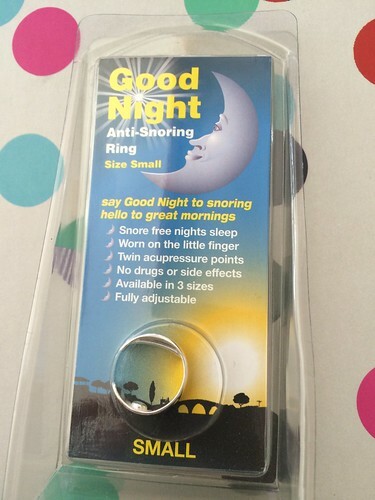 The Stop Snoring Ring is made by Good Night and basically works by using two pressure points on the inside of the ring to put pressure on your fingers in certain places. It's supposed to stop you snoring. Well, I've tried it out for a couple of weeks now and I'm not really sure that it's made a big difference to me. I haven't stopped snoring at night and it doesn't seem to matter which position I sleep in. 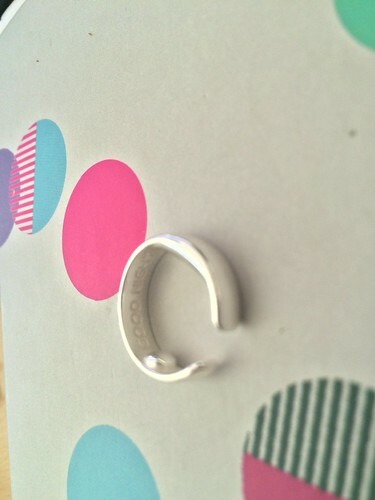 It's an adjustable ring and I'm wondering if it's maybe got to be tighter on me to put more pressure on. 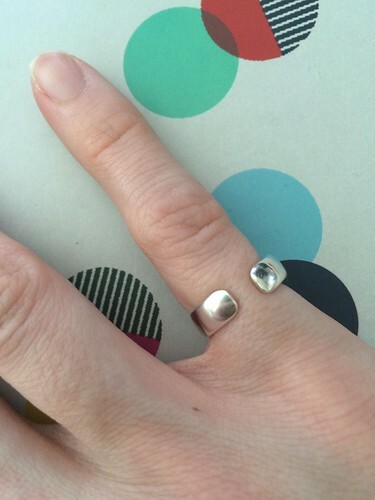 The ring itself is a cute design, it seems sturdy and hasn't tarnished in the time I've been wearing it. It also has the brand Good Night stamped on the inside, which appealed to me. Reading up on the snoring ring, it seems as though the claim is that it helps in 80% of snoring situations, so perhaps I'm just in that unlucky 20%. Do you snore? (Is that too personal a question?) Would you try something like this to stop? 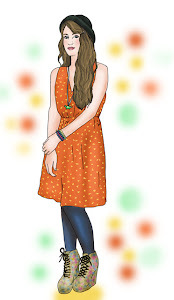 I think my boyfriend would like me to get this...!! Haha, I know that feeling. i am the lightest sleeper in the world and have tried many a home remedy in the past for boyfriends who kept me awake at night, but never seen or heard of this! would be interested to read some reviews where it's ~actually worked though, just to see what the deal is..
Well, there are of course lots of testimonials on the website which say it works. I don't snore but I do talk! I DID know you were a snorer because you reviewed some Soreen on here a while back and said an ex had called you Snoreen!!! Haha, I remember that now! Yes, it used to annoy him quite a lot. Oh how weird!? Not sure how this would work? I can't breathe out of my nose properly so I'm a really heavier breather at night! One of my best friends is such a loud snorer, I might tell her about this! I think it's something to do with the pressure points in your finger, but I don't know how that would affect your snoring.